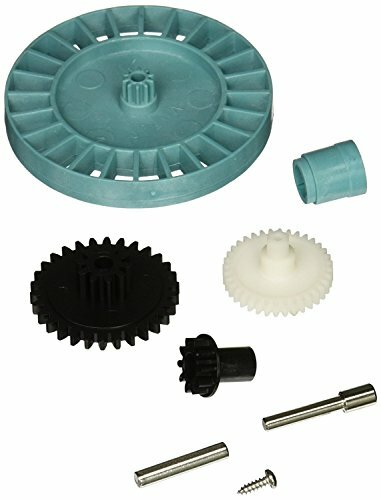 This medium turbine spindle gear kit is designed to use with Hayward Aquabug, Diver Dave and Wanda the Whale above ground pool cleaner models 500, 700, 900 and also compatible with Hayward Navigator and Pool Vac Ultra and Plus automatic suction in-ground pool cleaner models 925, 2025V, 2025CS, 2025. Includes medium turbine, drive gear, bushing, vinyl spindle gear, screw, medium turbine axle, intermediate gear, intermediate gear axle. Weight 2-pound. If you have any questions about this product by Hayward, contact us by completing and submitting the form below. If you are looking for a specif part number, please include it with your message.